These videos are to be used in conjunction with the book. Each video is a movie clip that goes along with a devotional in the HOME Family Devotional. Home Family Devotional–Video 1 from Bobi Ann Allen on Vimeo. Home Family Devotional–Video 2 from Bobi Ann Allen on Vimeo. 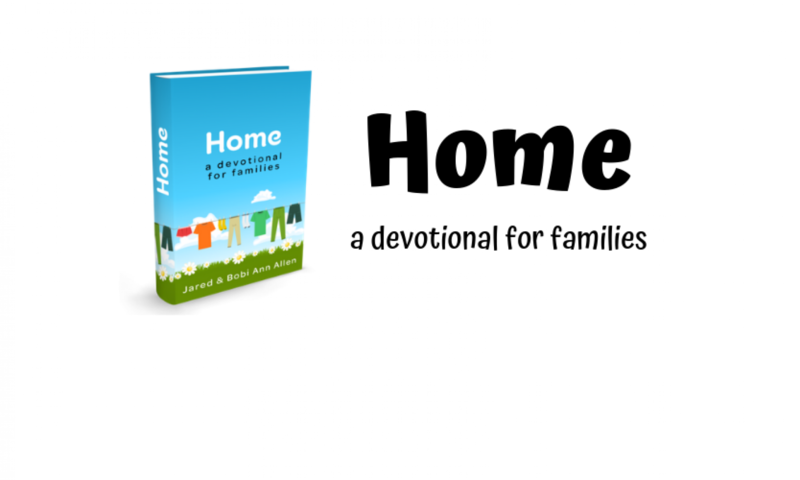 Home Family Devotional–Video 3 from Bobi Ann Allen on Vimeo. Home Family Devotional–Video 4 from Bobi Ann Allen on Vimeo. Home Family Devotional–Video 5 from Bobi Ann Allen on Vimeo. Home Family Devotional–Video 6 from Bobi Ann Allen on Vimeo.